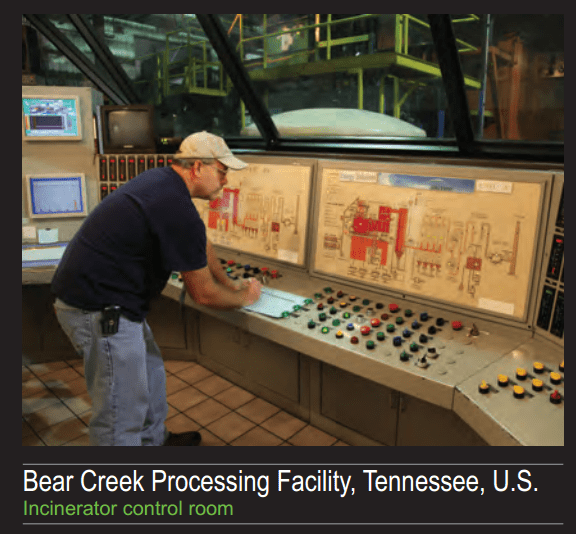 Tennessee is the only state that allows commercial burning of radioactive waste, licensing six incinerators, and receives 75 percent of the nation’s low-level radioactive waste, which according to state records is roughly 20,500 tons per year. On Friday, December 7th, workers at the Energy Solutions Bear Creek Depleted Uranium Recycling Facility in Oak Ridge Tennessee, workers placed a drum of Depleted Uranium shavings in Area 9 of the old ATG building, covered with mineral oil. When workers arrived at the facility Monday morning they discovered the poly drum had completely disappeared, the Depleted Uranium shavings were on the floor, the oil was on the floor, and some of the shavings had changed in physical appearance, now seemingly looking like ash. According to information released by EnergySolutions, the poly drum had burned up and the contents of the drum were now mixed with the ash and oil on the concrete floor. Depleted uranium is the man-made byproduct of the uranium enrichment process, “depleted” simply means the Uranium-235 has been reduced, and unlike other radioactive material, its chemical composition changes over time, making it more in radioactive. The Oak Ridge plant incinerates 15,000 tons of radioactive waste per year, most of which comes from the United States, but in 2011, the East Tennessee facility applied to import and treat 1,000 tons of German radioactive waste, and ship it back to Germany to be stored as ash. Modern radioactive waste disposal costs have escalated much greater than inflation, largely due to increasing environmental regulations, disposal site uncertainty, and risk potential. In July 2009, Energy Solutions was awarded a $9.3 million order for dismantlement and decommissioning of the S3G/S6G nuclear submarine refueling complex at Pearl Harbor. In Phase 1 alone, over 20 million pounds of waste was shipped to the Bear Creek facility. 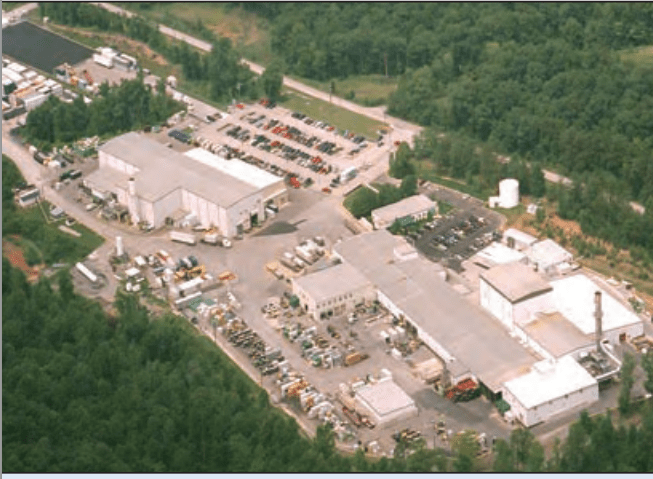 The Bear Creek facility also manages classified nuclear waste, which is specially processed with special melting technology and capabilities to obscure any classified information or classified DOD components prior to disposal poly drum.